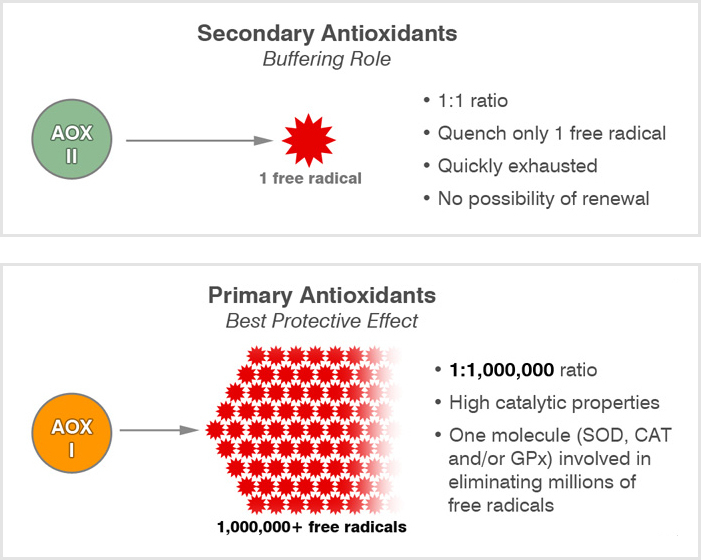 Primary antioxidants have high catalytic properties and are involved in the elimination of millions of free radicals. Contrary to primary antioxidants, secondary antioxidants quench only one free radical and are quickly exhausted with no possibility of renewal. 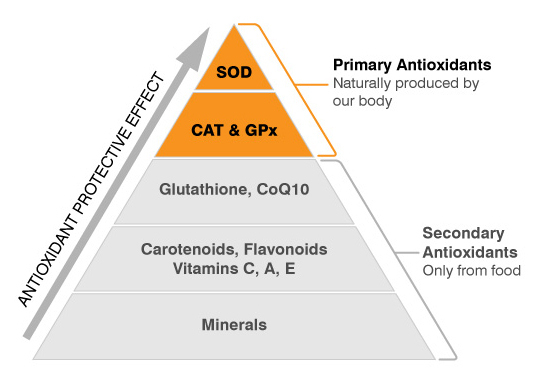 In this way, secondary antioxidant reserves can become quickly saturated and oxidative stress uncontrolled.